Cassie Devashrayee (left) and Elijah Bryant (right) lead their teams in scoring. The women’s team remains at home this week while the men head to Brooklyn. 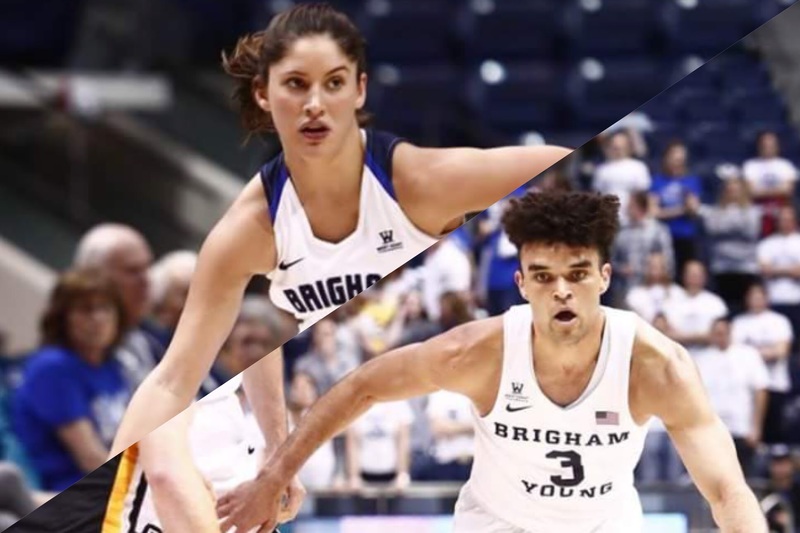 BYU women’s basketball returns home this week after a two-game road trip to Washington while the men’s team heads to Brooklyn, New York, after losing at home to UT Arlington on Nov. 18. The team split its two-game road trip last week, losing to Washington 80-72 and beating Eastern Washington 73-69. Cassie Broadhead Devashrayee continues to lead the Cougars on offense, having scored over 20 points in every game so far while Shalae Salmon has proved to be a force in the post, bringing down double-digit rebounds in every game. The Cougars will back at the Marriott Center this week, taking on SEC-opponent Georgia on Nov. 25 at 2 p.m. MST. Turnovers and playing from behind have been issues for the team so far this year. 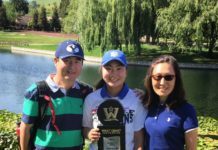 After their loss to Washington on Nov. 15, women’s coach Jeff Judkins said they need to play better from the start of the game, and not dig themselves into a hole. All three of the Cougars’ games have come down to the wire – something they will have to avoid against the Bulldogs. 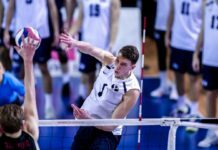 Judkins said Georgia will be one of the better teams the Cougars face this season. The Bulldogs scored 95 points in their season opener and held two of their opponents to fewer than 60 points. The Cougars have scored 72 points or more in every game this season. Taking better care of the ball on offense and staying focused on defense for 40 minutes will be key to a Cougar victory against Georgia on Saturday. The game will be broadcast live on BYUtv. 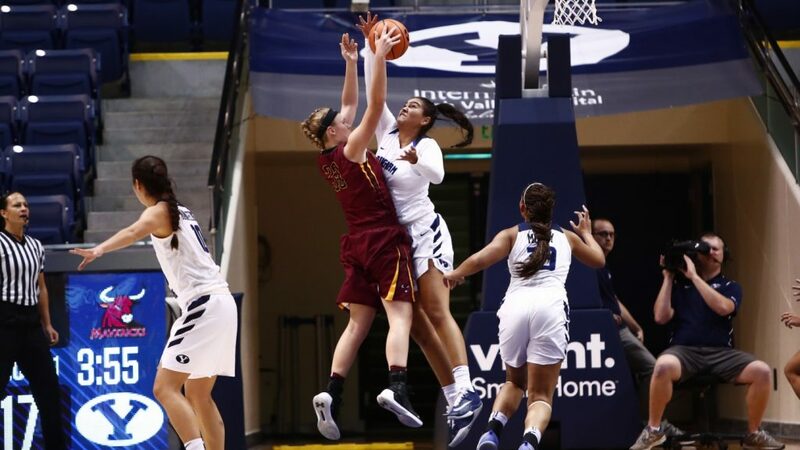 Last week, the Cougars went on the road and beat Princeton 65-56 in a defensive battle before being run out of the Marriott Center by the UT Arlington Mustangs by a score of 89-75 on Saturday. Coach Dave Rose said the loss was a good test for the team, adding the first loss is always an important step in the season. 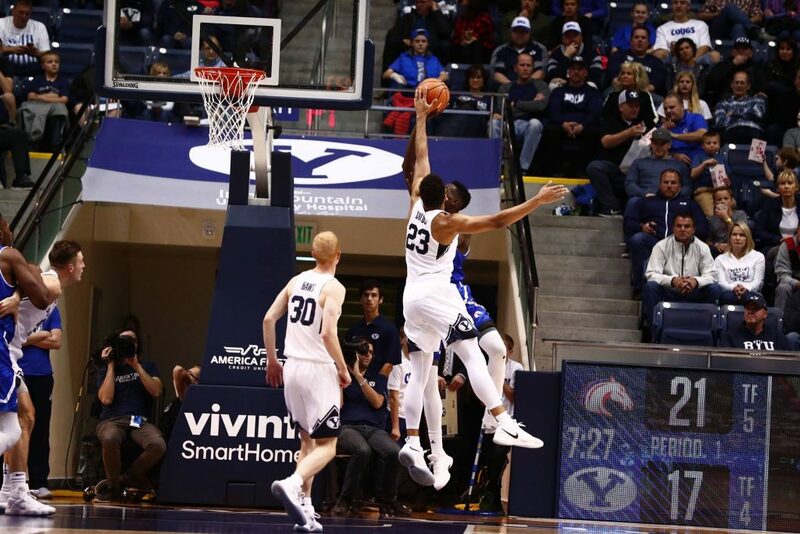 The Mustangs beat the Cougars in the Marriott Center in last season’s NIT as well. The Cougars had a cold shooting night against the Mustangs, missing 18 3-pointers in a row and taking low-percentage shots early in the shot clock. BYU faces a daunting road trip to New York this week, taking on Alabama on Friday, Nov. 24, and UMass on Saturday, Nov. 25. Both games, part of the Barclays Center Classic, will be at 12:30 p.m MST. BYU will need Yoeli Childs to return to his preseason form, dominating on the boards and in the post on offense, to find success this weekend. The team will look to Elijah Bryant and T.J. Haws to run the offense both in passing and scoring with Dalton Nixon and Jahshire Hardnett coming off the bench to provide the defensive spark the Cougars need to stay in control of the game and play with confidence.